Yet another task avoidance project has reared it's head. 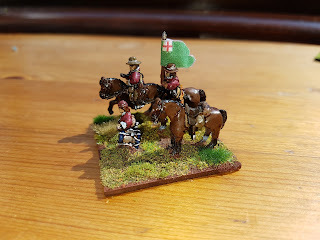 At this rate those Royalist horse will never get painted. 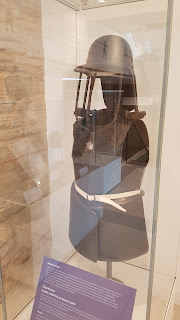 Keen eyed visitors to the National Civil War Centre (NCWC) and the Royal Armouries will have spotted the exhibited siege engineer armour, with elongated lobster pot helmets with shoulder supports (helmet apparently so heavy that there are brackets which transfer the weight directly to the wearer's shoulders). 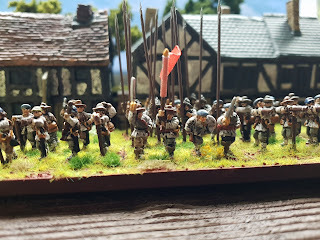 Well, once you've seen them you are going to need some in your army aren't you? 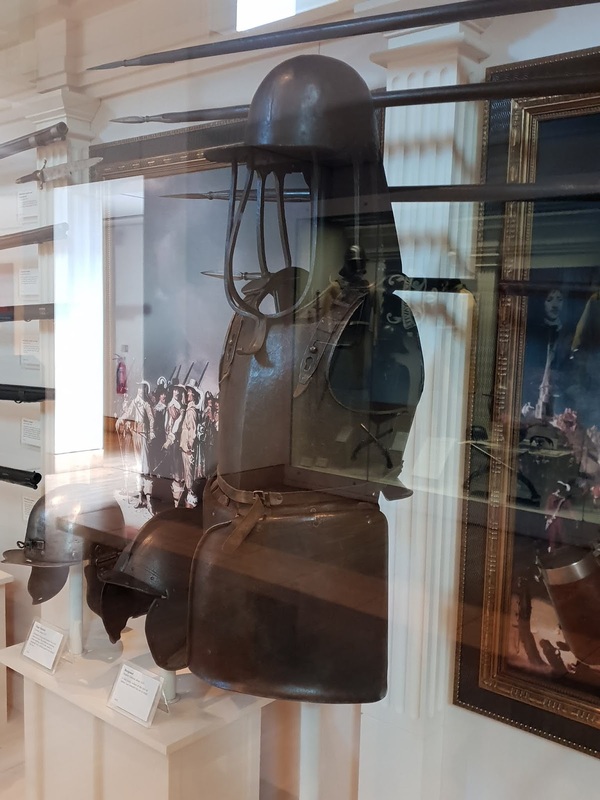 Siege armour at Royal Armouries, Leeds. Again nicely displayed but suffering from sun light reflection. Alas Peter Pig don't cover them with their range, and some gentle badgering hasn't realised any results (yet). 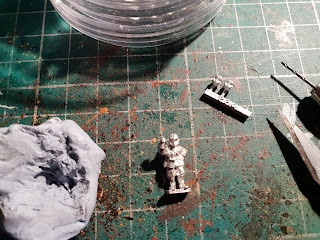 Blue Moon make a pack, but their interpretation of 15mm is considerably bigger than Peter Pig's 15mm. 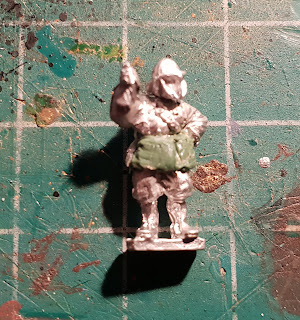 Hallmark (Magister Militum) make a pack, but their armoured engineer is too modern for the Civil War period (clearly late seventeenth century/ early eighteenth century clothing). So what to do? After much deliberation, conversion of existing PP figures seems the way to go. My basis for the armoured engineers will be 'vertical pike, empty handed' figures: a straightforward lobster pot head swap (probably foregoing the shoulder brackets); some greenstuff tassets, which thankfully are smooth plates rather than the fancier articulated versions; and wire and greenstuff tools, which may also necessitate some arm alterations. 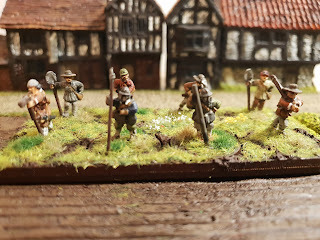 Unarmoured workers will be based upon the armed peasants pack, and the 'happy worker' with spade from PP's AWI range. The 'happy worker' will require green stuff shoes, and some headswaps will be in order (Montero cap, brimmed hat) to give a more ECW feel. 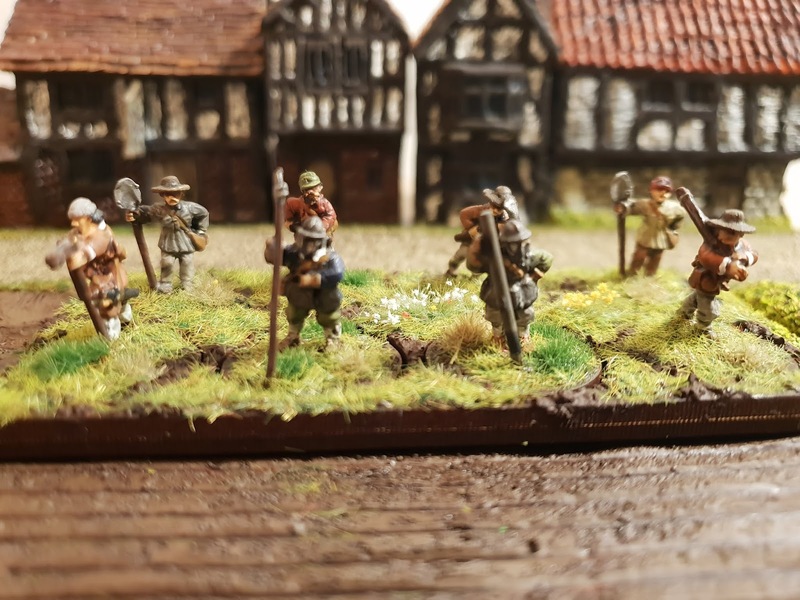 Armed peasants will have new digging tools, and probably some headswaps too. I've had a go at a test figure: first off his arm and head needed to be separated, they are moulded connected. Next, a headswap. Here he is with the replacement lobster pot head ''dry" fitted. Next up some smooth green stuff tassets. This is the rough fit. Time to leave it to ''go off" a bit and then a final smooth with the sculpting tools, and a general tidy up. Now I need to have a good think about what sort of tool he'll wield. His arm position would suggest the easiest option will be a 'long stick' that almost every commercially available siege engineer set has. I thought about his armour and whether he would be wearing a buff coat, but decided that a buff coat might hinder his ability to labour: both the actual weight of buff coat and armour, and the ability to move his arms for any length of time. 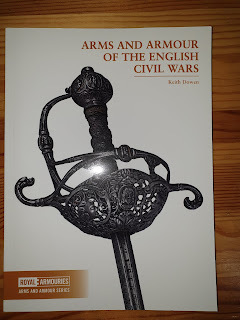 UPDATE: I’ve been trying to find out more about armoured engineers, and their uniforms. As the vast majority of military actions during the Civil Wars were sieges you’d think information would be quite easy to find. 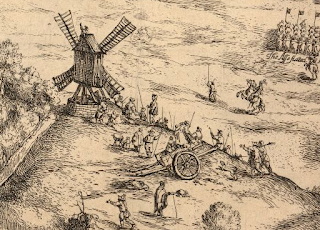 There are many descriptions of fortifications, and biographical details of notable siege engineers (such as Rosworm, who amongst other things, organised the defences of Manchester), but very little descriptions of those who did the work. As for uniform, well the simple answer is they didn’t have one – they were, on the whole, civilians. 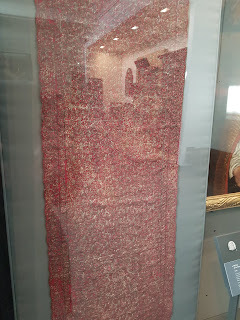 The work was seen as below the dignity of soldiers, the Earl of Northumberland’s ordinances of war stated that soldiers who broke before coming to terms with the enemy would serve as engineers and labourers “till a worthy exploit removes the blot”. One exception were the engineers of the Eastern Association who also served as artillery train firelocks. 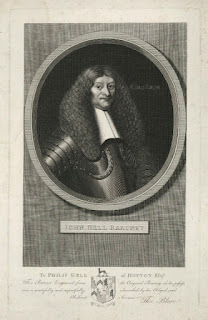 A plate in Haythornwaite’s “English Civil War 1642-1651 an illustrated history” shows an armoured engineer wearing a death’s head burgonet, which has clearly been the inspiration for Warlord’s engineer working party. 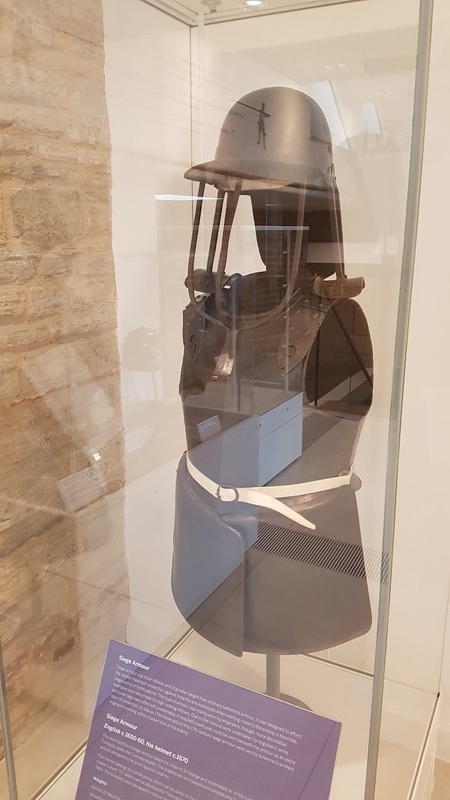 Both Foundry and Blue Moon represent armoured engineers with full face helmets, yet both the sets of siege armour on display (Royal Armouries and NCWC) have lobster pot style helmets. 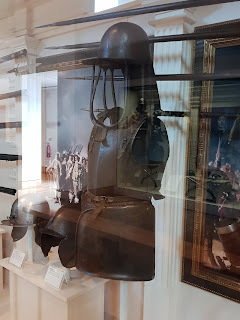 Warlord, in the description of their engineer working party, state that these parties often had doglock armed musketeers as protection, or sentinels. So I think I now have the organisation of a working party - two armoured engineers, two men with shovels (AWI happy worker), two from the ECW armed civilians pack, and two musketeers. 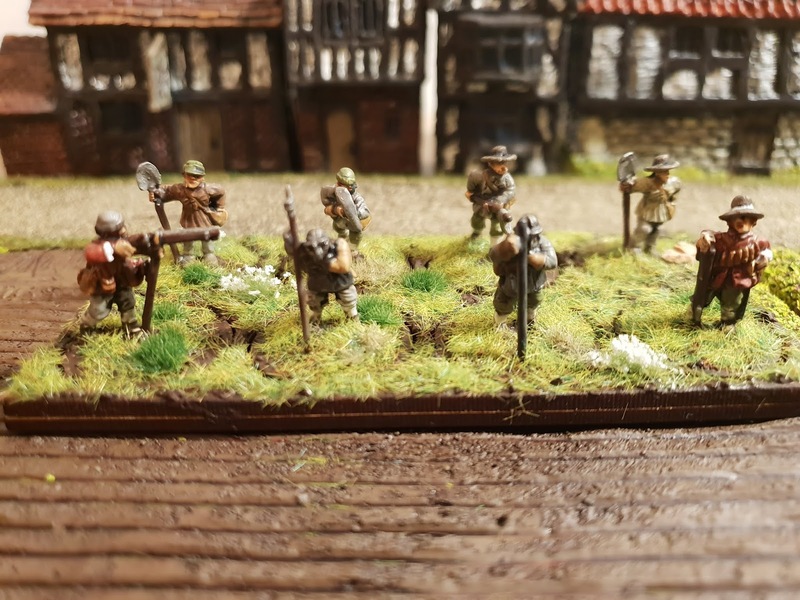 UPDATE: a spare hour has resulted in three more armoured engineers created (headswaps and green stuff tassets); two civilians with axes (headswap); two civilians with pitchforks now have pick axes (headswap and green stuff); four assorted musketeers; and four worker with spade, now have shoes and ECW style headwear. The armoured engineers tools: test figure's big stick is now a piece of timber, the other three will have a big hammer/two handed axe/technical metal stick. 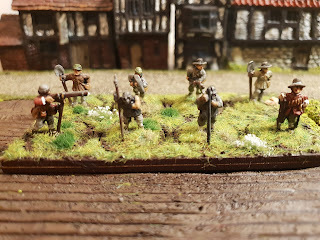 I've discovered Donnington supply a number of desperate weapons for 15mm (I utilised some of their halberds for my Scots infantry). Here they finished and based. 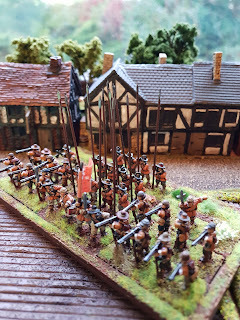 Update: the helpful people at the National Civil War Centre have created a database of BCW sieges. An excellent resource, find it here. 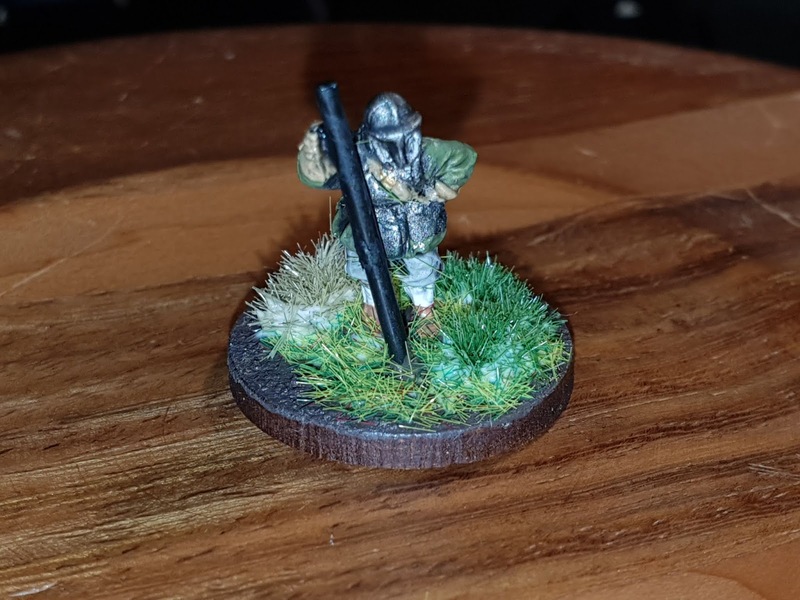 The old Minifigs 15mm range had all of their Parliament infantry in three barred pots (!) and most with tassets. Don’t know how they match up size wise, but could be an option. Thanks. 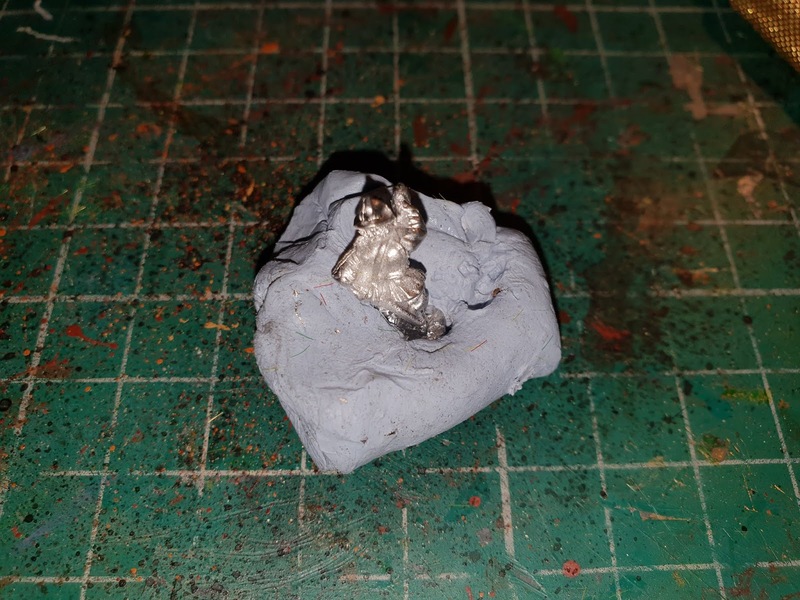 I don't think it is too shoddy for a first attempt (my experience with green stuff has always been using it as a filler or replacing shako plumes). 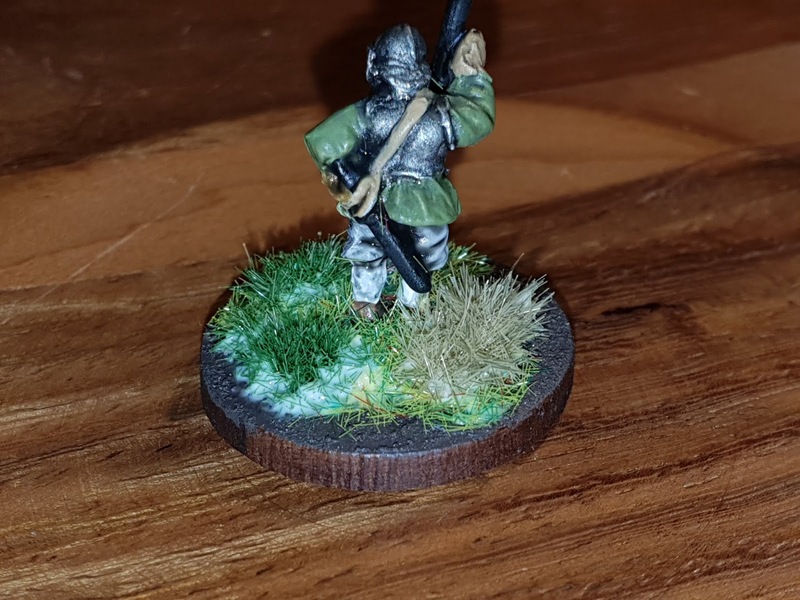 I hadn't thought about Minifigs, I guess I had written them off as inaccurate and rather wooden in comparison to PP figures.